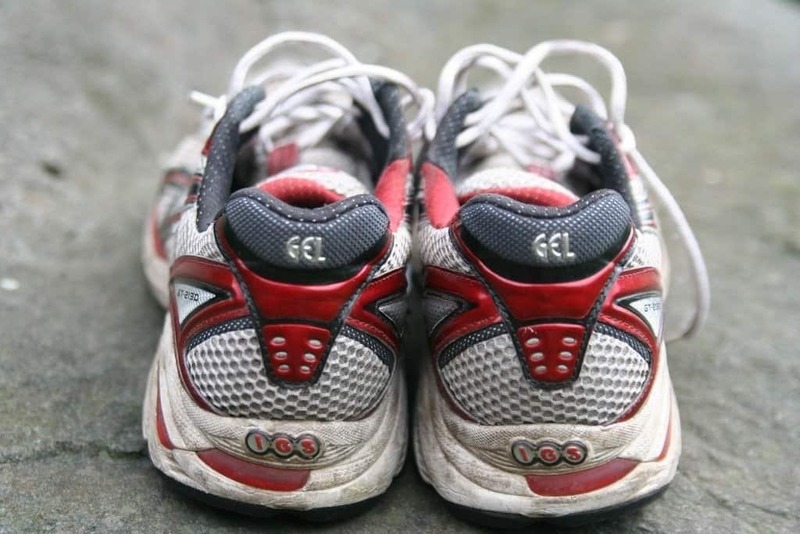 Are you a flat-footed person who is having problems whenever you jog or run? You might be experiencing ankle, leg, or back pains that are common problems experienced by many flat-footed runners. We might just have a solution for you -- The ﻿﻿﻿﻿﻿﻿ASICS Gel Kayano﻿﻿﻿﻿ 19. The ASICS Gel Kayano 19 ﻿﻿is specially designed for runners who have flat feet or low arches. ASICS has a reputation for developing shoes designed specifically for flat-footed people to continue their running and jogging, staying fit without suffering from the pain that may be brought on by the over-pronation commonly associated with flat feet and low arches. The features of the ASICS Gel-Kayano 19 make it one the best running shoes for runners with flat feet. (see our top 5 list of other shoes for flat feet). The FluidFit technology combines multi-directional stretch mesh with stretch reinforcements that adapt to the athlete's foot, creating a truly customized glove-like fit. This allows you to move and run at ease and provides comfort to your feet. Its Exoskeletal heel counter provides improved support and creat﻿es a solid heel fit while its FluidRide feature provides the ultimate combination of bounce-back and cushioning properties with reduced weight and exceptional durability. Its Trusstic System integrates Guidance Line construction for enhanced gait efficiency while providing midfoot structural integrity and its improved DuoMax system enhances stability and support, with reduced weight and increased platform support. Only ASICS provides a Plus 3 or 3mm of additional height on women's models, which helps relieve achilles tension. It is the only brand of running shoes for flat feet that pioneered gender-specific cushioning where women's models feature a lower-density top layer in the midsole, allowing female athletes to better enjoy the benefits of midsole compression. ASICS has been known to produce quality running shoes with supportive and highly cushioned designs -- perfect for people who are having issues with over-pronation whenever they jog or run. One noticeable feature of this rubber shoe is that it provides maximum protection to your feet but weighs lighter than earlier models of the ASICS Gel-Kayano. Based on some of the customer reviews, the ASICS Gel-Kayano 19 would probably not be the best running shoes for people with normal pronation. This is understandable because the manufacturers themselves designed it specifically for those runners and joggers who have flat feet. 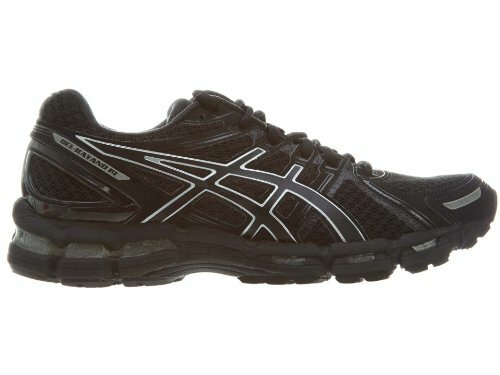 When we look at customer reviews, we see that a majority of the customers who have purchased ASICS Gel Kayano 19 have given it a very high rating, in most cases a 5-star rating. On the ASICS website, we find that out of 40 reviewers, 33 have given it a 5-star score, which is roughly 82.50%, a very high percentage of completely satisfied and happy customers. Based on the total customer rating, we can say that ASICS Gel-Kayano 19 is solid choice of running shoe for flat-footed runners because of the ample support it provides to people with low arches or flat feet. Although the targeted design limits its viable customer base and prevents us from giving it a full five stars, 4.5/5 will surely feel good to those runners with flat feet.